Reflection 7: Output and action or what do I do with my reflective output? 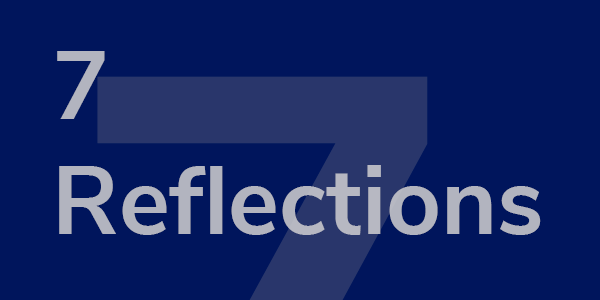 Over the last 6 blogs, we have shared insights into how to be more reflective and support reflection in ourselves as well as our colleagues. We hope that you have felt inspired or at least had your reflective strategies validated by the ideas and sources of information that we have shared. In this our 7th and final blog in the series, we highlight a selection of strategies for action……having reflected, what next? How can we make effective use of the outcomes? In our last blog, we looked at cognitive biases and the effect these can have on our reflective capabilities and outputs. In our blog No 4 on cognitive preferences we considered how cognitive preferences can both hinder and help the act of reflection. In this penultimate blog in the series of reflection, we would like to stay with cognition and consider the concept of intuition and its role in helping to deepen our ability to reflect effectively. In our continued journey into the art of reflection, we shall be looking at the interrelated concepts of mental models and cognitive bias and how they impact on our capacity to reflect meaningfully. In our previous blog post in this series, we discussed the idea of cognitive preferences and suggested that when reflecting we could enhance our reflective activities and outputs by applying System 1 and System 2 type thinking modes to the issue that we were reflecting on (Kahneman, 2011). One of our obsessions is spreading the word about the power of coaching and contributing to both local and global communities of practice. 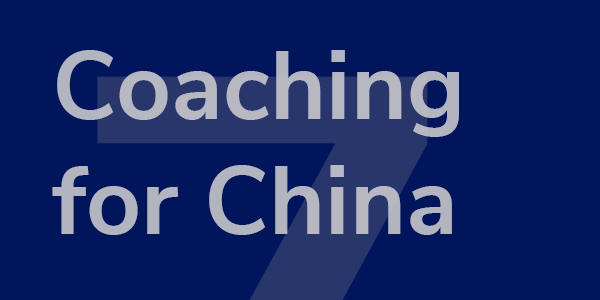 Earlier this summer, we were delighted to work with Paul Lin, founder and president of Oxford Educational Cloud (http://www.oecglobal.org/about/team/), to tailor and deliver our Introduction to Coaching workshop for a group of Chinese entrepreneurs. The group were on a visit from China to soak up the culture of Oxford and Cambridge and also to access quality academic learning to inform their business leadership and practice. In previous blog posts we referred to personal preferences relating to reflecting. We suggested that some people might prefer to have some structure to enable them to think effectively whereas others might prefer a more free-flowing approach to this process. We proposed that two types of opportunities for engaging in reflective activities; these are formal sessions where groups of people might get together to reflect on specific issues or there may be more opportunistic moments that occur to reflect informally under more solitary conditions. Continuing with the dichotomy of preferences, let us turn now to the granular aspect of reflection; the act of thinking or cognition. How we think is an integral aspect of reflection. Cognition has and continues to be of interest to various disciplines, including among others, Neuroscience, Philosophy and Psychology. Antonio Damasio, whose professional interests span all three areas attempts to explain the concept of consciousness, as without it humans would not be able to engage in acts of cognition. Due to technology and non-invasive procedures, it is now possible to look into a living brain and observe neural pathways as they activate when a person is thinking about something, which in the context of these blog posts is what we refer to as reflection; therefore to be able to reflect draws on the need to be conscious. In our last blog we shared our ideas around different methods that support the process of reflection. In this blog, we will explore how to maximise the scope for reflection in life through making the most of both formal and informal reflective time. In an ideal world, reflection would be something that we schedule into our lives as we do for work, gym visits and television viewing. Making diary time, even for just a short period, can help establish a framework within which learning, enhanced thinking and actions can be drawn. Having a structured approach within that time enables us to make the most of it. A short series of questions can be helpful, e.g. In our last blog we explored how to find purpose and intent as a way to distil experiences and provide time for reflection. In this blog, we will explore our second aspect of reflection – finding your ‘preferred method’ – what works for you? Just as we have preferred learning styles, we also have preferred ways of engaging in reflection involving varying degrees of structure and interaction with others.